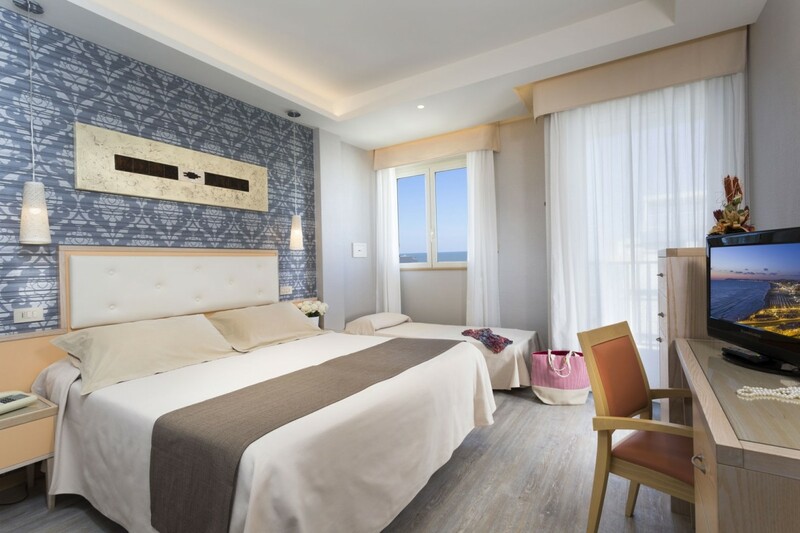 The rooms in the York Hotel in Riccione are elegant and modern, equipped with flat screen television, wifi, direct dial telephone, safe and balcony. 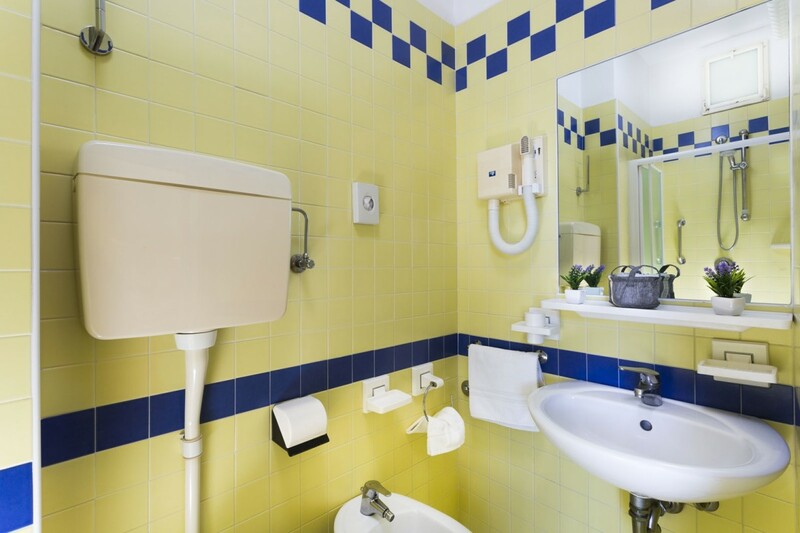 Each room of the Hotel York, and is equipped with electric shutters that you can manage from the comfort of bed, shower and hairdryer in the bathroom. 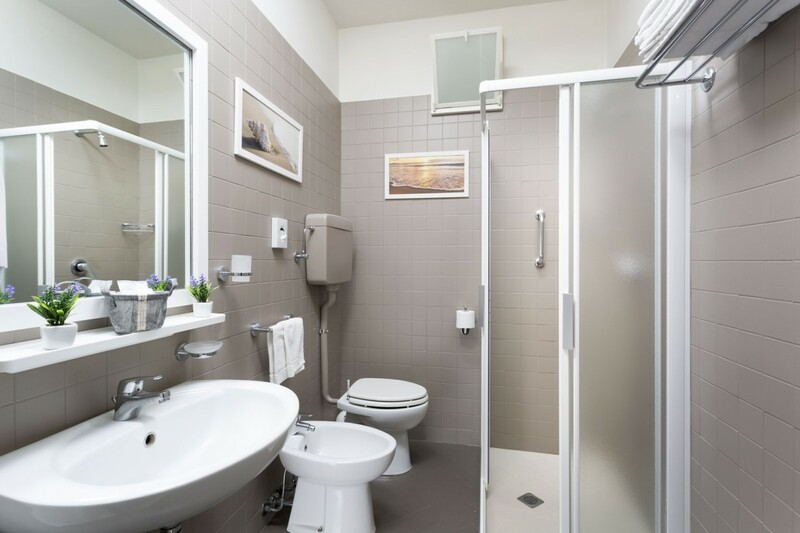 Furthermore, a minibar and air conditioning are provided free of charge in all rooms. During your stay, all the staff of the hotel will be at your disposal for any need. 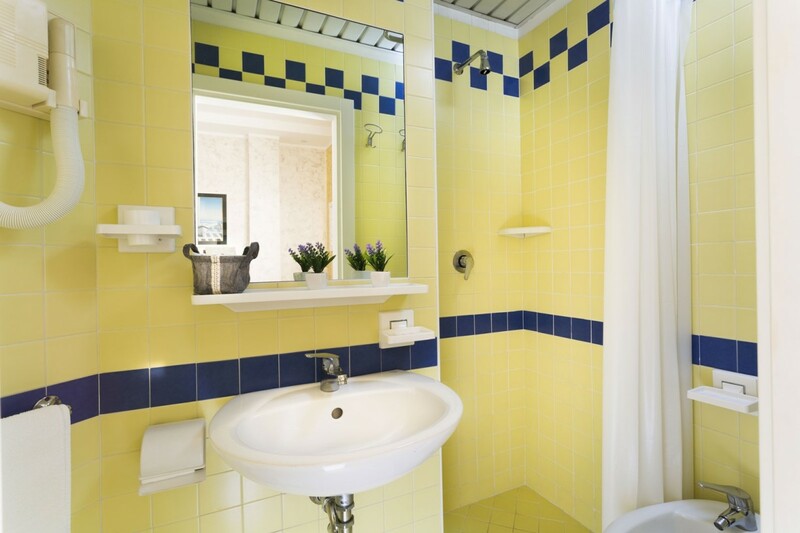 The quadruple rooms, if necessary, triple rooms, all with balcony and an area of 17 square meters. 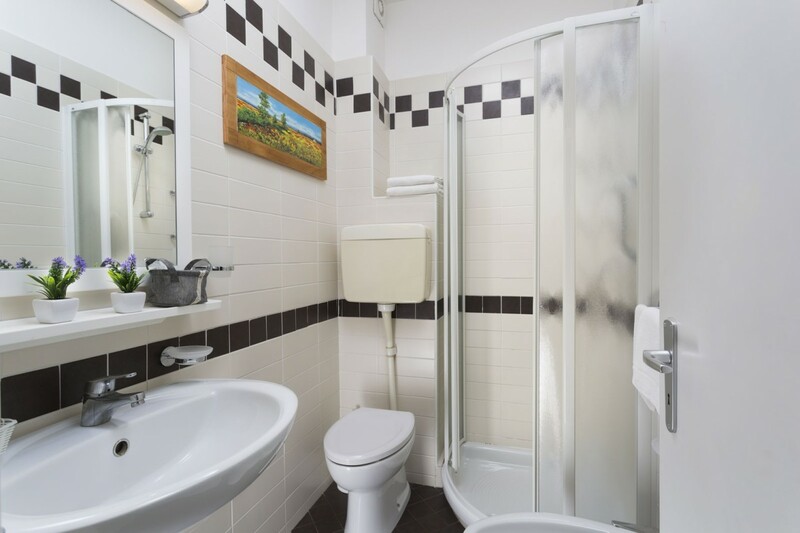 Spacious and well arranged for the comfort of 3 or 4 people. 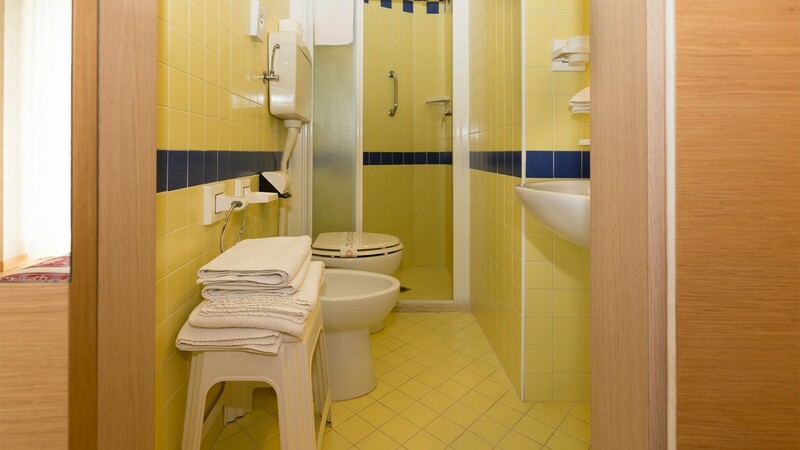 The triple rooms are all with balcony and an area of 16 square meters. Are the ideal solution for families or groups of friends, with comfortable beds and enough space for the comfort of all. All double rooms are with balcony and have a width of 11 sqm. 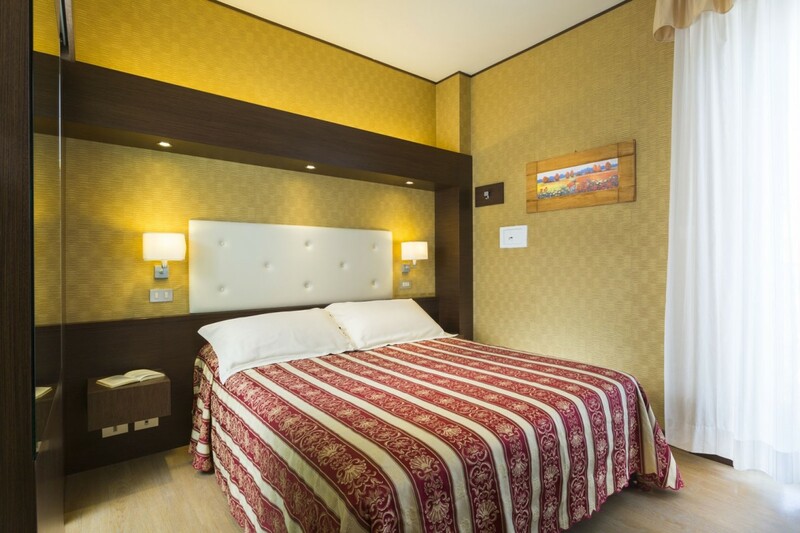 Comfortable and tastefully furnished rooms are equipped with all the basic amenities for a pleasant stay. 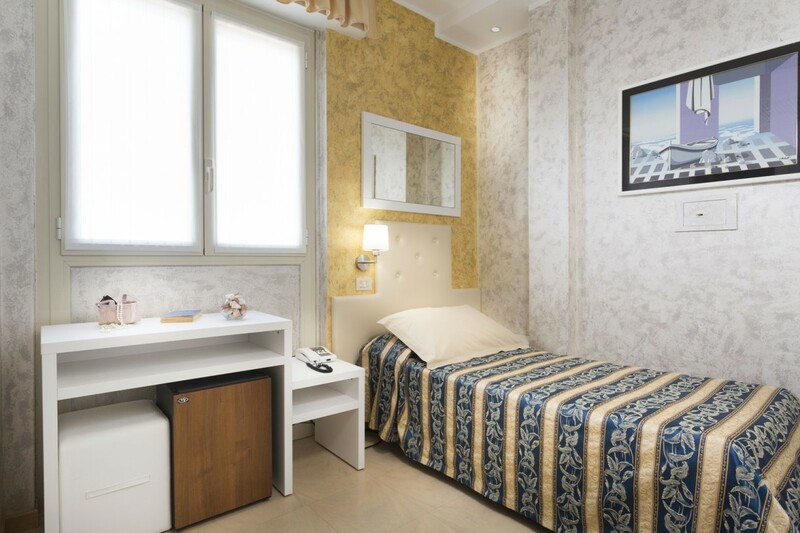 Similar, but with a window but no balcony, the other single rooms which are recommended for the same type of travellers, and have a width of 7,5 sqm.